Fireflight is back in the studio working on their first full-length studio album in nearly four years! They are currently in the writing stage of the process and they’ve enlisted Josiah Prince from Disciple to assist with the new music. They’ve been sharing updates and you can follow their progress on their Instagram. Last month, the group announced that they’ve signed with Rockfest Records and that the next album would be released through the label sometime this year. You can see the full announcement below. We did a thing… time to get to work!!! Read below! . . #Repost @rockfestrecords with @get_repost ・・・ ***NEW ARTIST SIGNING*** GRAMMY® nominated Christian rock favorites Fireflight have signed an exclusive recording contract with Nashville Label Group’s RockFest Records, it was announced today. Since their 2006 debut, Fireflight has become one of the genre’s most beloved bands with nine #1 Christian rock hits to their credit. 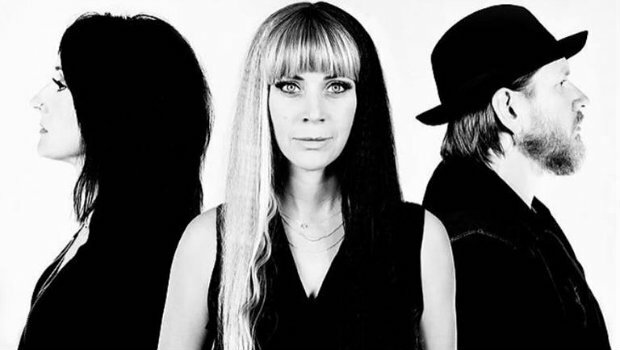 Comprised of Dawn Michele (vocals), Wendy Drennen (bass) and Glenn Drennen (guitars), Fireflight also announces the return of guitarist Justin Cox to the lineup. The foursome's RockFest Records debut is slated to bow later this year. “We couldn’t be prouder to welcome one of Christian rock’s most influential and dynamic bands to our label family,” said Nashville Label Group/RockFest Records president Joseph Rojas. “Fireflight’s history speaks for itself, and their music and message are needed more now than ever. We’re so excited to partner with them and can’t wait to see what God has in store for Fireflight’s next chapter.” “Fireflight has been a little under the radar over the past several years, devoting much needed time to our families and individual projects,” said guitarist Glenn Drennen. “We feel the time is right to release a new Fireflight record in a big way. We are incredibly excited to partner with RockFest Records and look forward for many more cool things to come!” With a GRAMMY® Award nomination to their credit, 26 million views on VEVO, seven Dove Award nominations and more than 400,000 albums sold, Fireflight has built a fiercely devoted following, transcending both Christian and mainstream rock. Bursting onto the scene with their 2006’s Flicker Records debut, The Healing Of Harms, the band's Flicker discography also includes Unbreakable (2008) and For Those Who Wait (2010). The group's Essential Records debut, Now, was the top-selling Christian rock album of 2012, while Fireflight’s independently released INNOVA (2015) yielded two #1 singles, joining such career-defining hits as “Waiting,” “The Hunger,” “Unbreakable” and “Stay Close,” among others. They’ve also announced plans to play at Joshua Fest this July in Quincy, California alongside Disciple, Lacey Sturm, Remedy Drive, and many more. You can find tickets and details on the Joshua Fest Facebook page.